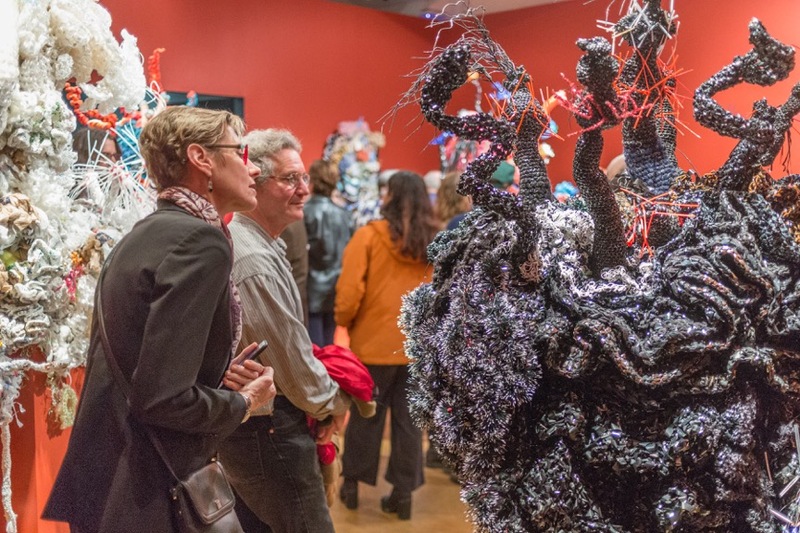 In addition to the exhibition Crochet Coral Reef: CO2CA-CO2LA Ocean at the Mary Porter Sesnon Art Gallery, related programming includes the creation of the UC Santa Cruz Satellite Reef, crocheted by UCSC students alongside faculty, staff and Santa Cruz community members. 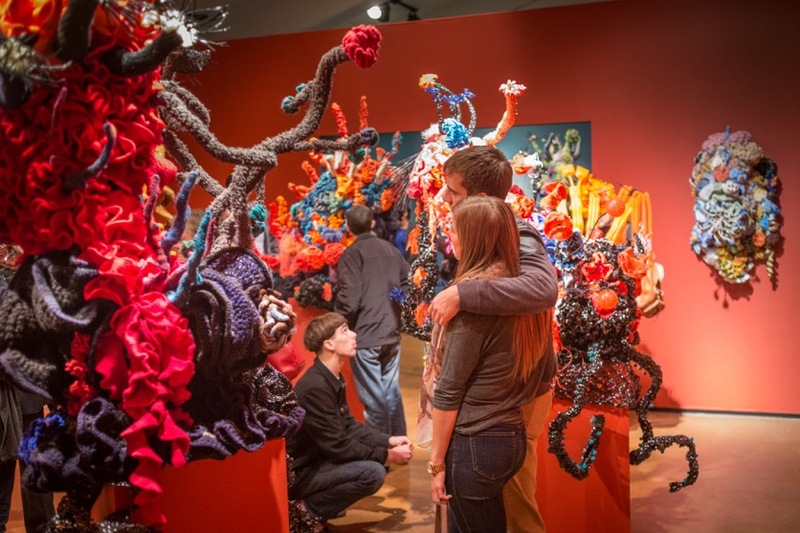 This latest addition to an ever-evolving wooly archipelago of crochet reefs worldwide, including Europe, Australia, Asia, and the United States, will be exhibited at the Seymour Marine Discovery Center beginning May 4, 2017. See ias.ucsc.edu for more details. Sisters Margaret Wertheim (a science writer) and Christine Wertheim (a poet, writer and faculty member at the California Institute of the Arts) are co-founders of the Institute For Figuring, a Los Angeles non-profit devoted to the poetic and aesthetic dimensions of science and mathematics. 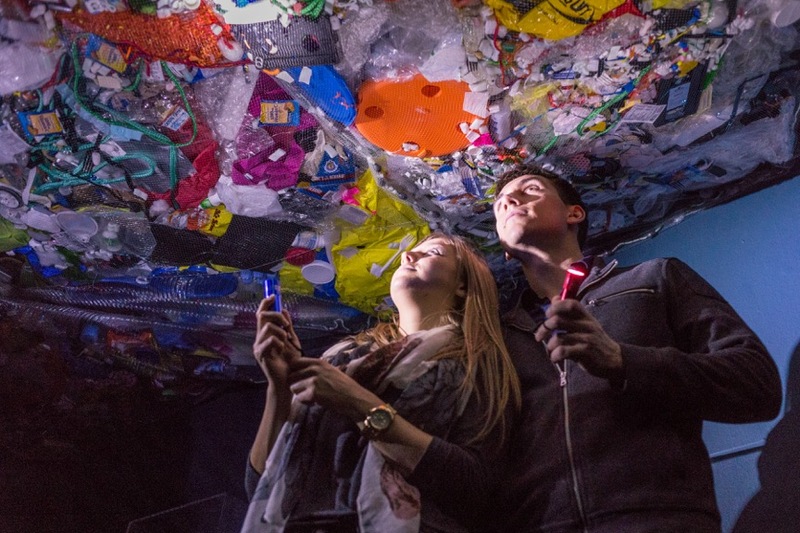 The IFF is a "play tank" which develops artworks, exhibitions and programs that engage audiences in topics ranging from the physics of snowflakes to mathematical paper folding. www.theiff.org. 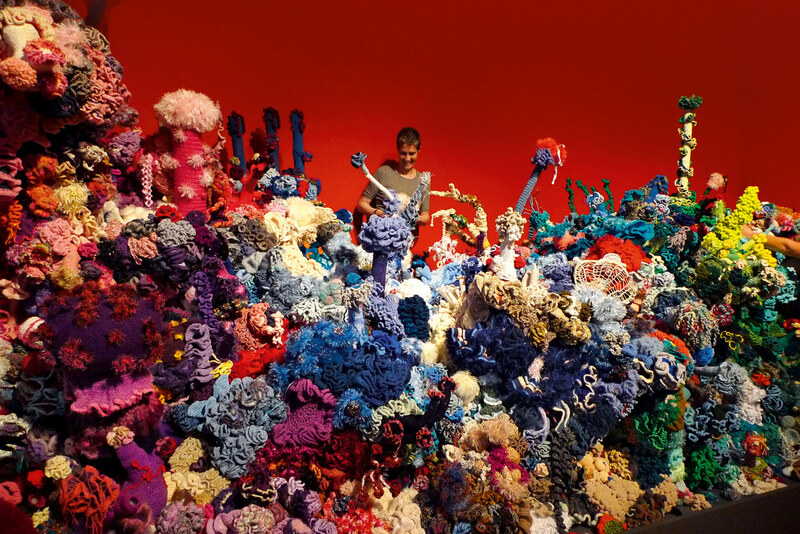 Crochet Coral Reef: CO2CA-CO2LA Ocean and the UC Santa Cruz Satellite Reef are sponsored and co-organized by the Institute of the Arts and Sciences in partnership with the Mary Porter Sesnon Art Gallery and the Seymour Marine Discovery Center. The Institute of the Arts and Sciences is part of UC Santa Cruz’s Arts Division. 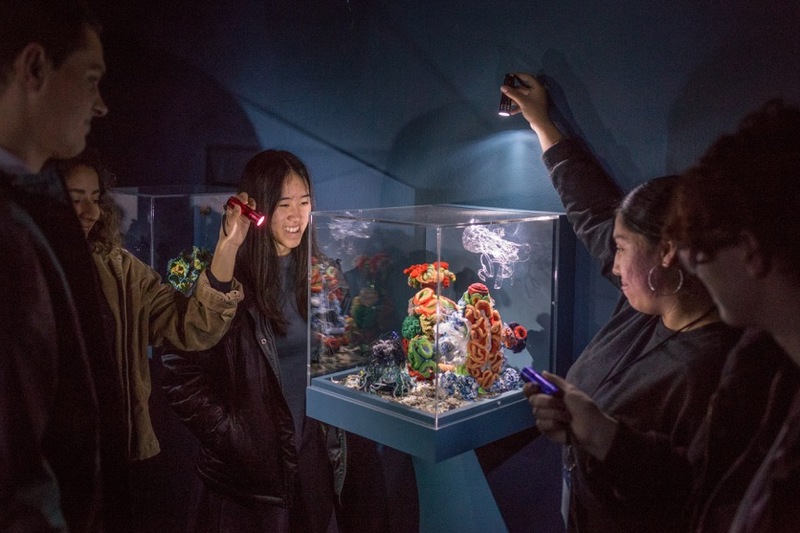 It is an interdisciplinary programming unit, which creates public exhibitions, public events, publications, and collaborations with faculty and students, aligning with UCSC’s teaching and research. 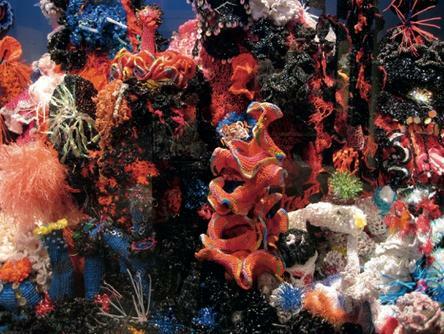 The UC Santa Cruz Satellite Reef is part of the Crochet Coral Reef world-wide reefing project and will be on display at the Seymour Marine Discovery Center beginning May 4, 2017. Satellite Reefs have been hosted in cities across the U.S. and Europe, Australia, and Asia. The UC Santa Cruz Satellite Reef is the newest addition to the IFF's worldwide reefing network. 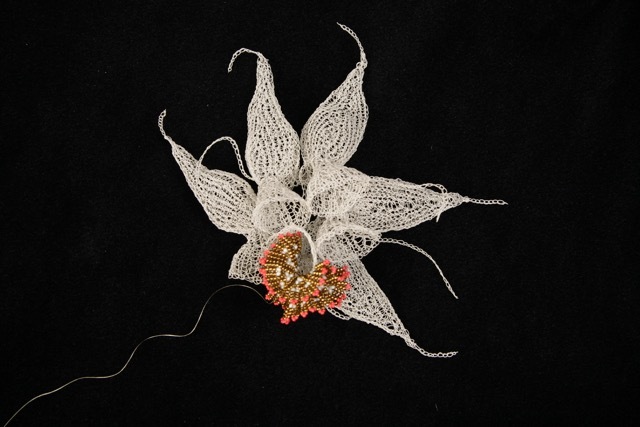 Crocheting will continue at UCSC and the Seymour Marine Discovery Center until April 2017. 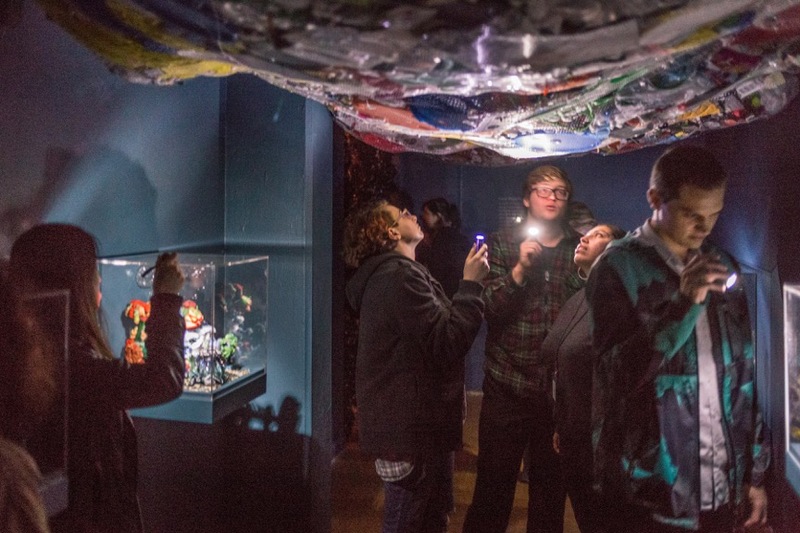 The Sesnon Gallery encourages interdisciplinary discourse through the lens of the arts. Gallery hours are Tuesday–Saturday, 12 p.m. to 5 p.m. and Wednesdays until 8 p.m. It is closed for the university spring break March 25 - April 3, 2017. The gallery is located at Porter College, UC Santa Cruz and is wheelchair accessible. Admission is free, and metered or special event parking is available at Porter College. Group tours are available by appointment at (831) 459-3606. Special thanks to the UCSC Institute of the Arts and Sciences for this wonderful collaboration. Please see ias.ucsc.edu website for more information on related events. Click the download arrow for the press release.